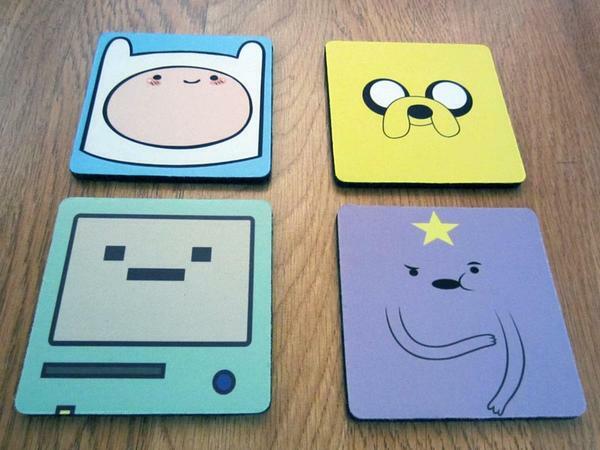 This is a set of well-designed drink coasters themed by the popular animated television series Adventure Time, and handmade by Jerry Amsterdam from San Diego. 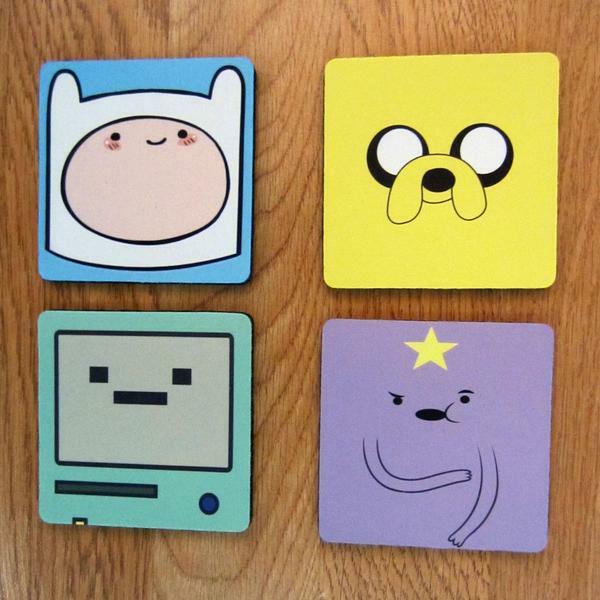 The coaster set contains 4 different designs, each one is based on an iconic character from the universe of Adventure Time including Finn, Jake, Beemo, and Lumpy Space Princess, and each coaster features iconic details from the original cartoon character. Apart from that, each drink coaster is made of rubber, and measures 3.5 x 3.5 x 1/4 inches. The Adventure Time drink coaster set is priced at $12.95 USD. If you’re interested, jump to Etsy for more details. Additionally, if you need other options, you might like to check the Super Mario coaster set and more via “coaster set” tag.